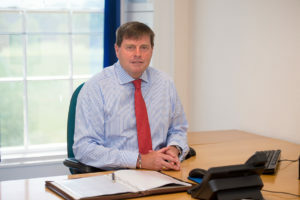 Cumbria’s Police and Crime Commissioner Peter McCall is set to reduce his staff costs. The Commissioner’s Chief Executive and Monitoring Officer will be retiring in September 2017. As an interim arrangement the statutory role of Chief Executive and Monitoring Officer will be shared by two existing members of staff saving approximately £81,000 over the next 12 months. Police and Crime Commissioner, Peter McCall said: “My Chief Executive is due to retire after 37 years distinguished public service both here in Cumbria and Cheshire as well. “It is a statutory requirement that the Office of the Police and Crime Commissioner has a Chief Executive and Monitoring Officer. “As a result I have asked two existing members of staff to take this role on an interim basis each over a period of six months. I am pleased to report that this interim arrangement will bring a saving of £81,000 on the Office costs over the 12 month period. “This saving is on top of the saving that I made earlier in the year with combining the role of the Chief Finance Officer for my Office with the Constabulary. We now have a joint Chief Finance Officer.